Real estate brokers and agents recognize that above all else, consumers want neighborhood expertise. But so far, they have not adapted their marketing practices to embrace the HyperLocal movement sweeping real estate. That’s the findings of a new research study released by us. More than 60% of individual agents and 65% of teams say they “specialize” in a large regional or metro area. “It’s an oxymoron to specialize in a metro area,” added Stefan Peterson, COO of zavvie, who co-founded the company with Hornung. “You can’t even specialize in a city or a town – it’s just too big of an area, geographically to be a ‘go-to expert’ that knows every single home in that size of a market. Yet that’s what folks were claiming,” he said. More evidence of this disconnect between the views of agents, teams and brokerages and their behaviors is shown by how few agents and teams report using HyperLocal marketing tools that let them share their expertise, such as “Nextdoor,” a “Blog” or a “Neighborhood Website.” “All of these are core tools of a typical HyperLocal agent’s marketing system,” said Peterson. Yet the survey found only 7% have a Blog, only 15% have a Neighborhood Website, and fewer than one in five (17%) are on Nextdoor. “This begs the question, ‘If all of these agents, teams, and brokerages have all this local knowledge, how is anyone going to know it if they are not sharing it in a Blog or on Nextdoor?” Peterson said. 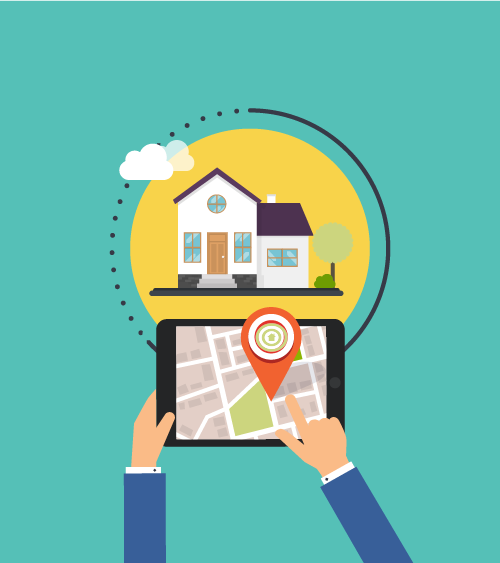 Agents, teams and broker-owners and execs place tremendous value on local customer reviews from sites such as Zillow, Yelp, Nextdoor and Google. More than 60% said reviews on these sites were “Very Important” or “Extremely Important.” Moreover, 73% said Facebook is their number one marketing tool they use to connect with customers in their local farm area. Yet once again, there is a disconnect between agent, team and broker-owner and real estate executive beliefs and their behaviors, as evident in the survey’s social media findings. Some 44% of agents and 50% of teams said that social media is only “Somewhat Important” or “Not Important” to their business. Moreover, two social media tools landed in the bottom five marketing tools that agents use to connect with customers in their local farm area; Instagram was selected by only about 1 in 10 and Twitter was selected by only about 1 in 20. Want more details? More in-depth highlights of the survey results are available here.